These photos were taken on April 4, 2015 at 7:45 AM. The "Take It!" came after getting through my disbelief in seeing for the first time after jay walking some some steps away from this official cross walk as there are rarely any moving cars going on this short stretch of pavement. For no particular reason I happened to move over just a few feet when making my way from my parked car to the entrance of the building. 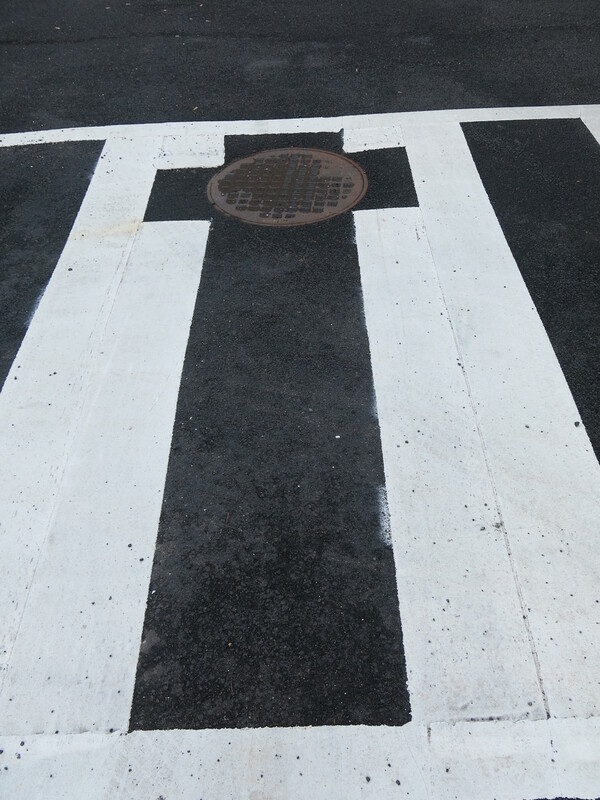 What presented itself looks to be a standard precautionary proceedure taken by painters when putting down stripes on roads when they encounter a man hole cover. As one can readily see they avoid putting any stripe on the cover. I can only suppose this is to avoid any difficulty in matching up lines - should anyone remove and replace the cover. In not putting down any stripe on the surface of the cover - they avoid having to cope with the irregular surface of the casting of the cover, thus saving lots of time. The After Take: All of those to whom I showed these to, enjoyed them. It almost seemed as if they were as surprised as I was in seeing such a presentation. Here is hoping you encounter a special street painting that is out of the ordinary. I somehow have the feeling I am going to be looking at this sample every time I pass it in the future. 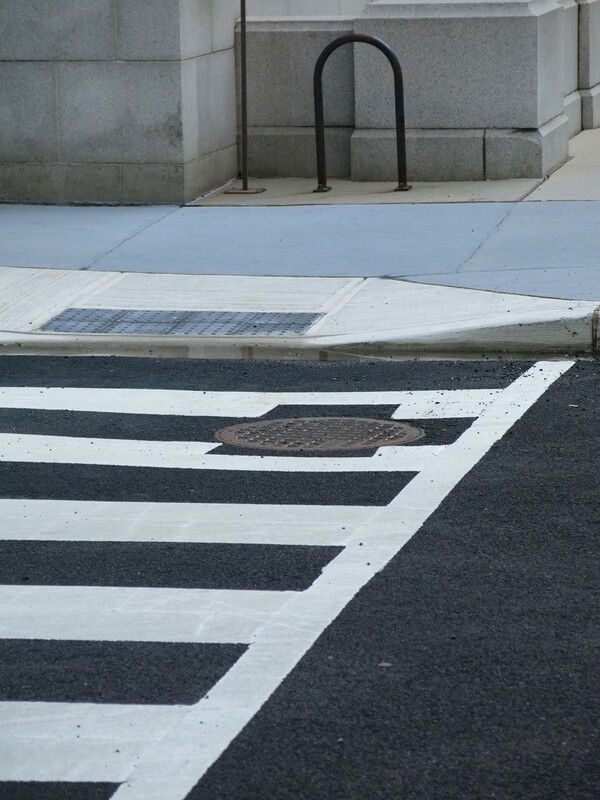 I always chuckle when I see manhole covers with the double yellow lines painted on them and they end up going perpendicular to the streets yellow lines. This was a fun read. I got a kick out of it! I have a mission now, I am going to find one of these. I have to find one of these lol. You catch things I think most people would never think to notice. Great picture, funny how it was there all along. Thanks to everyone for your kind comments. I am going to enter this one into the photo contest at our county fair. I will do it as a black and white entry. I hope the title helps gather some positive attention - lol. Hi Bruce great to hear from ya in the comments. Glad you are able to comment again!